When it comes to the success of your business, marketing and promotion are essential. 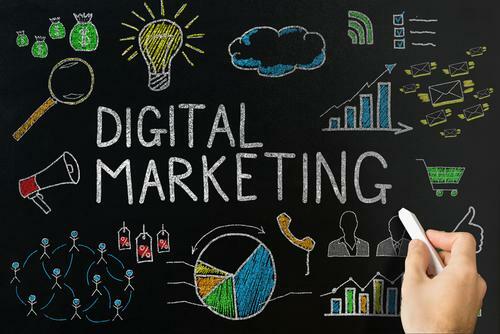 However, not all digital marketing channels are equal. With some routes suiting particular businesses better than others, it is all about finding the right fit for your organisation and your budget. If you are responsible for the marketing of a new business, the chances are that you won’t have the budget to invest in every social media marketing channel (Facebook, Twitter, Instagram etc.) as well as supporting an SEO and PPC campaign. For any business venture, we firmly believe that optimising your website to appear in search engine rankings should be a top priority. Ensuring that your website is SEO friendly is the most important aspect of your digital marketing campaign as organic traffic is the ultimate goal. Paid advertising channels will provide an instant boost, which can be highly effective for new products and campaigns, although this won’t see your page ranking on Google. SEO, just like digital marketing as a whole, has changed a lot over the last ten years. For example, keyword stuffing used to be a highly popular technique that was utilised in search marketing, at the time successfully, in order to climb the rankings. However, that practice is now more likely to result in a penalty or, possibly, even a complete removal from Google’s listings. The user experience is key to ensuring that your website is fully optimised; this is an ongoing process. With new algorithms and constant updates, you simply cannot afford to stand still when it comes to your website’s SEO. At least 75% of clicks are given to search results ranking on the first page (top 10 results), with the highest ranking position seeing 33% of clicks overall. If you manage to rank top for a search query with an average monthly search volume of 10,000, you can expect to see 3,333 sessions on your website without paying a single penny per click. For an e-Commerce website, complementing an SEO campaign with PPC has the potential to be a match made in heaven. Google Ads, the new name for the search engine’s AdWords, has undergone something of a transformation in recent months with video ads also included in its capabilities, as well as the tried and trusted shopping feed. According to Google, businesses make $2 on average for every $1 that is spent on their PPC ads. That means that the ROI using Google Ads should be double that of your investment, something that would be welcomed by any business. In addition, seasonal campaigns that you may want to push for a select period of time, instead of playing the long game through SEO, can be highly successful with a well monitored PPC campaign. However, while PPC is undoubtedly good to gain quick exposure, it shouldn’t be seen as your primary source of traffic. There is an endless amount of technical research that goes into targeting campaigns, ensuring the best ROI possible. This is why any business that is serious about utilising PPC should employ the use of a specialist to oversee the campaign. 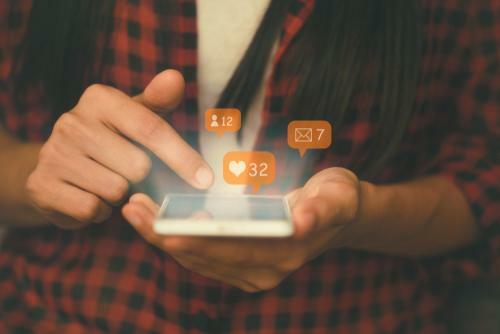 Social advertisements come in many forms, such as influencer marketing or Facebook and Twitter ads that promote selected posts. Facebook Ads, in particular, prove to be very popular amongst businesses of all sizes. One of the main reasons for this is that it is possible to roll your post out to a wide or local audience for little cost. Depending on the audience you are targeting, you can potentially boost a post for a nominal fee. When it comes to social advertisements, much of the campaign’s success comes down to the type and quality of the content that you are offering. People don't like being sold to, especially on social media by brands they don’t know or trust. Facebook and Twitter are there to generate discussion amongst an online community and potentially convert followers into paying customers. Those who do follow brands on social media, though, have their reasons. 56% state that they do so in order to see the latest products, as per a 2016 study of over 2,000 social media users. The same study also shows that 33% of those aged 18-24 would buy directly through Facebook, with 27% keen on shopping through Instagram and 20% on Twitter. This shows that as far as digital marketing channels go, social media has a big role to play. Video has been popular for a number of years now, thanks mostly to the rise of YouTube. While many global brands are using video effectively, this is a digital marketing channel that other businesses are still yet to discover. Where banners and images were once kings of online advertising, the shift has well and truly been made towards video ads. A short clip that keeps the audience’s interest, introduces the brand or product and doesn’t hamper the user’s experience is incredibly difficult to create – but when done right, can make for brilliant viral marketing content. Re-visiting the social influencer aspect of digital marketing, video is certainly where it’s at right now. YouTubers and streamers, using website and applications such as Twitch, which has an incredible 15 million daily average users, are proving highly popular amongst Millennials and, certainly, Generation Z. People buy from people and, when your product or brand is associated with someone’s favourite trusted figure, they are more likely to invest in your brand. So, What Digital Marketing Channel Should I Invest in? If your business can only afford to invest in one of the above right now, SEO should always take priority. That isn’t to say, however, that the overall campaign wouldn’t benefit from utilising other channels in the future - where possible, a multi-channel approach to digital marketing is always best. At i3MEDIA, our expert in-house marketing team are ready and able to give your business’ digital campaign the kick-start it needs. Whether you are simply looking to invest in your website’s SEO or explore all of the above, we are here to help. To get in contact, please give us a call on 01733 890836 or send us a message via the contact form today.